Blog Post on Giveaway: cosmeticcult.blogspot.com RULES: 1. You MUST be a follower of my blog & a subscriber to my Beauty Channel 2. You have to leave ONLY 1 comment on the blog post (link above) including an email address or twitter username so I can get in touch with whoever wins 3. Anyone under the age of 16 must have parental consent to enter (because the winner will have to give out an address) Opening Date: 9th March '11 Closing Date: 19th March '11 *This giveaway IS international - I will ship anywhere that can receive parcels from the UK! * And that's all! So quick and simple to be in a chance of winning this super cute collector's edition Escada set :) The winner will be randomly selected using Random.org Good Luck! xo Twitter! 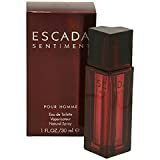 twitter.com FTC: The Escada perfume collector's edition was purchased by me, for you :). No affiliation with Escada and all my own opinions. Ciumes, com "C" de "Caiu da escada e eu não tive nada a ver com isso, policial." RT @091_Douglasm: Não fique apenas olhando a escada, suba degrau por degrau, até chegar ao topo.